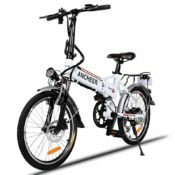 Ancheer electric bikes have launched its power plus mountain bikes in 2017 with exclusive features. With the promising features and newly updated gadgets used in its bicycles, Ancheer is attracting more cyclists. This company used to manufacture health and fitness gadgets for over a decade. However, it has recently launched electric bicycles with new design and themes with updated technology. More info about Ancheer below. 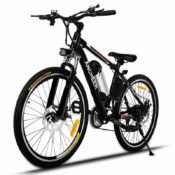 ANCHEER makes sure that a customer would get the maximum quality electric bike for the price. The Power Plus model comes with a bright 7-LED headlight, front/rear disc brakes and the front suspension. 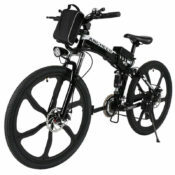 The 8AH removable Lithium-Ion battery lets it ride up to 32 miles. It also includes a 1-year warranty. Motor would be too weak for maximum rider’s weight. This Ancheer folding e-bike is made of fine quality materials, is super lightweight, looks cool and modern, but it does not have pedals. So the owner should know the riding distance. You can connect your smartphone to this ebike via Bluetooth and lock it with a password or control it. It is probably the best option for short commutes. This folding full suspension electric bike might be the perfect solution for commuters. 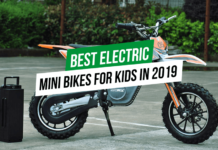 There are quite a few electric bikes that have both full suspension and are foldable. The 6 spokes Magnesium wheels make this ebike look extraordinary. Although this Ancheer ebike does not have the twist throttle, the 3 pedal assist modes will fully do the job. Ancheer made its best to create a lightweight, full suspension and folding ebike. The 36V battery and 250W motor will surely be enough for easy commuting or recreational rides. Both front and rear mechanical disc brakes will definitely do the job and the foldability will let you easily transport or store the ebike. Also, one of the best points of owning a cheap electric bike is that it can be serviced for the lowest price available. Ancheer Best Folding Commuter’s eBike is both mountain and road electric bike. It has a powerful 250W high-speed brushless motor. With a single lithium battery charge, you can reach up to 15.5 Mph. Also, the battery is removable, so you can charge it on or off the frame, with makes charging easy and short. 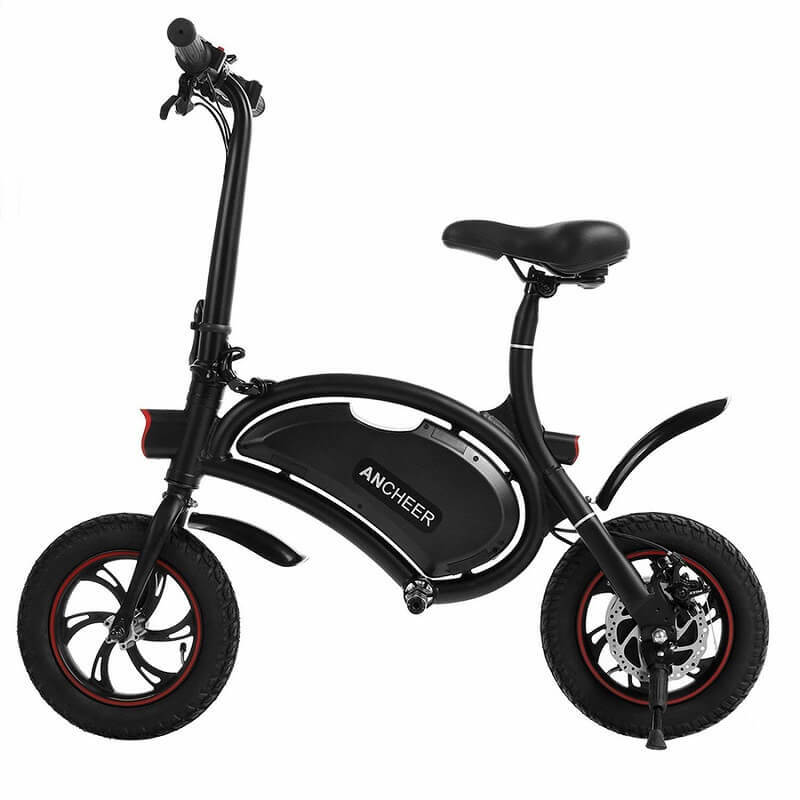 Ancheer recently launched its electric bicycles with updated features and high comfort level. 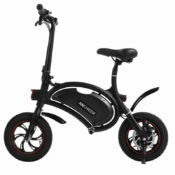 With removable lithium-ion batteries, high-speed motors, high-quality frames, LED lights, classic design and gear shift system, Ancheer electric bicycles are a complete, versatile package for every commuter. Ancheer electric bicycles are facing tough competition in the market with already established companies in this sector. 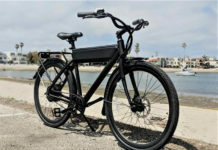 There is a robust competition in the market with brands like Derby cycle, Pedego electric bikes, Addmotor, EZee kinetics and several others. 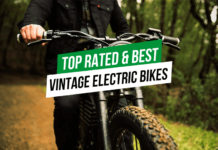 These are other top brands in the electric bicycle sector in the regions of China, Japan, United States and Europe. 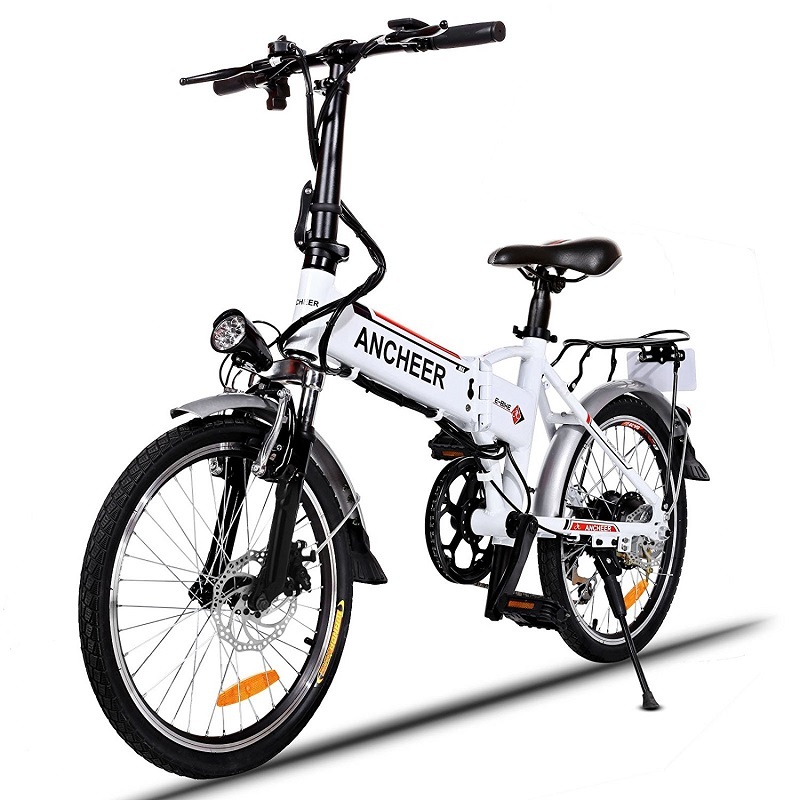 Ancheer has launched various models of electric bicycles at affordable rates. The price range for bicycles of this brand is from $389 to $1000. This variable range of prices is proportional to the features of the ebike. Aluminium alloy frame used guarantees a lighter bike. Easy to fold feature makes it comfortable to store at home or to carry in a bus. Sufficient instructions are not provided in the user manual.